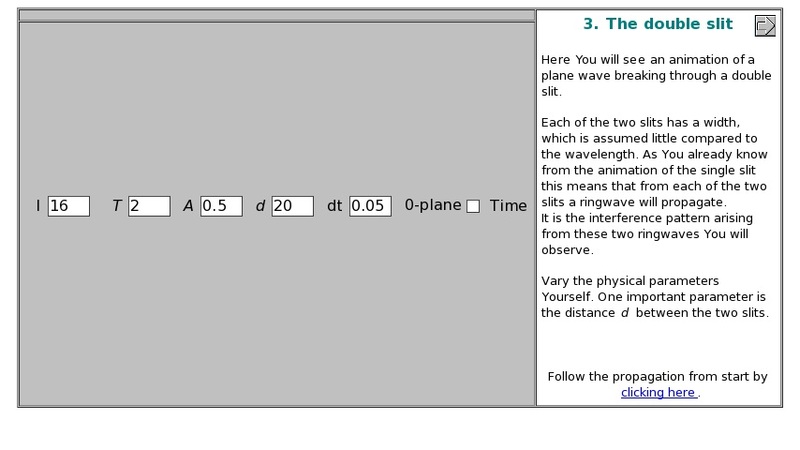 Here you will see an animation of a plane wave breaking through a double slit. Vary the physical parameters yourself. One important parameter is the distance d between the two slits.